Firstly, we’d like to thank all those who attended the IoT Tech Expo North America 2018. The 2018 event took place in the heart of Silicon Valley where it hosted 23 conference streams, the largest expo floor yet, an investor zone, brand new topics and keynote speakers, in addition to three co-located events. Alongside the IoT Tech Expo, the show co-hosted the Blockchain Expo, AI & Big Data Expo and the newly launched Cyber Security & Cloud Expo. Thousands of tech enthusiasts from across the globe congregated in Santa Clara to discuss the potential of these technologies and their convergence across a number of industries, with top-level speakers sharing their expertise and experiences on the subject. With more conference streams than ever, there was a mine of information to gather over the two days. Day one of the show saw speakers from SAS, Cisco, Ford, GM, Volvo, Uber, Arm, IBM, Disney, Boeing, Halliburton, John Deere and many more taking to the stage to explore IIoT, manufacturing, transportation, connectivity, smart factories, buildings, agriculture, infrastructure, connected homes and interoperability. The second day featured brand new conference streams covering enterprise, smart energy, cities, IoT innovations and technologies with senior representatives of BP, US Dept of Energy, City of Plano, Austin, Palo Alto, Procter & Gamble, GE Digital, Microland, Atlas Copco, and Arm sharing their experiences in these areas. This year’s show also featured additional networking opportunities including a 1-1 meeting service, VIP delegate lounges, networking lunches and an official networking party with casino style entertainment in the Hyatt Regency hotel. We would like to say a huge thank you to our sponsors, speakers and exhibitors for their involvement in the event and for making it a fascinating and diverse two days. If you missed the event, or if you had a free expo pass and would like to access the materials, you can purchase a materials ticket here. This allows you to download all the presentations and recordings from the conference tracks. These will be available on Monday 10 December and paid pass holders will be emailed their log-in details. Let us know what you thought of the North America 2018 event and you could win 2 x Ultimate Passes to a future event of your choice. You can complete the short survey here. 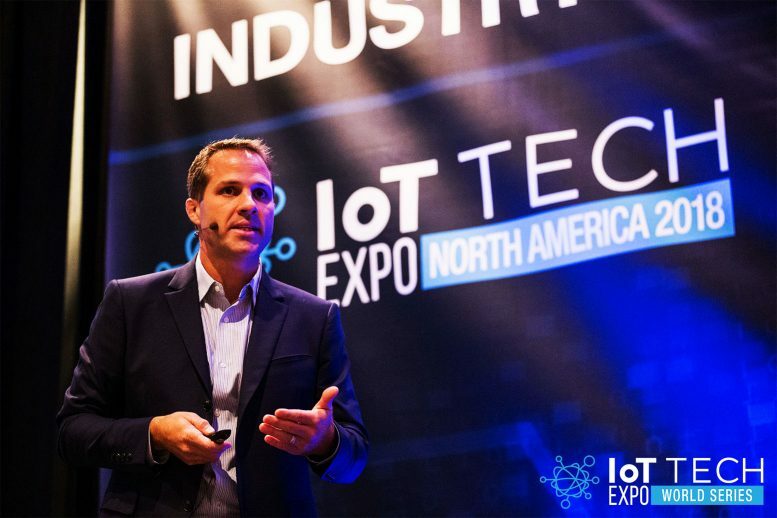 The IoT Tech Expo World Series will host its 2019 World Series in London and Amsterdam before returning to Silicon Valley in November.